Swedish producer, André Roots, has largely flown under the radar despite working with artists like Ras Muhamad, Norris Man, and Million Stylez. But André’s newest release and first riddim juggling is likely to change all that, with contributions from top tier Jamaican artists like Anthony B, Luciano, and Agent Sasco. 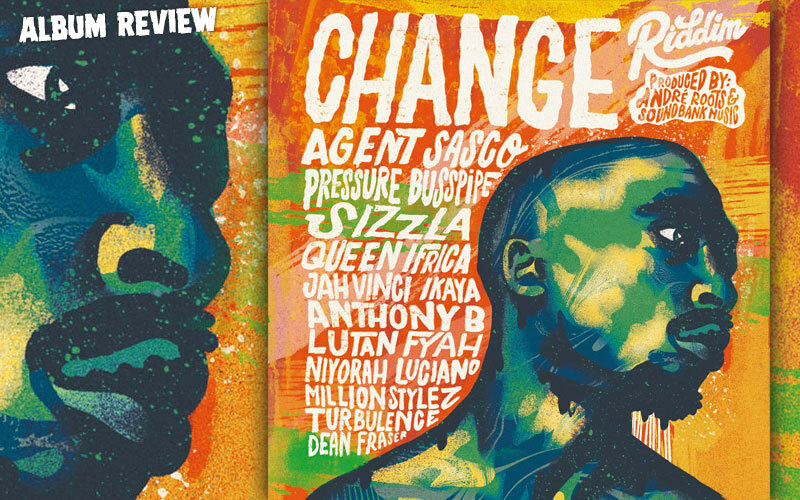 The riddim is called Change and, in addition to the stellar line up, it has potential for a broad reach because of its built in familiarity - it is a reggae adaptation of the 1998 post-mortem 2Pac hit, That’s Just the Way It Is (Changes). André Roots is a talented musician, and he replays 2Pac’s tune, originally sampled from Bruce Hornsby and the Range’s The Way It Is, beautifully. As a producer, his prowess is evident in how similarly the production and instruments (other than the reggae elements) sound to the original. It could have been interpreted in a more abstract way or “updated” with new sounds and trendy synths, but André obviously made a decision to stick to the original vision as much as possible and he succeeded. Although no version on the juggling stands out as an instant classic, there are still many great tunes. Despite its saccharine nature, Sizzla’s Lily in the Valley, a flowery, poetic love ballad, is probably the best of the bunch. André also gets strong material out of Turbulence, who channels a higher power on the borderline gospel song, Power of God, and Pressure, who seems to have been inspired by 2Pac’s Changes lyrics for his tune, Who Feels It Knows. Lutan Fyah takes a similar approach for Guns So Prevalent, a reworking of the February release by the same name. The original version of Guns So Prevalent was recorded on a different riddim that happened to feature Dean Fraser on saxophone, and Fraser is also featured on Change as a soloist on the instrumental version.